Where was this nominee hiding? Donald Trump stumbled with his selection of Heather Nauert as U.S. ambassador to the United Nations. Nauert was profoundly unqualified to represent us on the world stage. She pulled her name out of consideration this past week, citing unbearable pressure on her family. So, what does the president do? He finds a superb candidate to represent our interests in the world body. Kelly Craft is the current U.S. ambassador to Canada. She has years of diplomatic experience; she served as a member of our U.N. delegation during the George W. Bush administration. Ambassador Craft reportedly was the most easily confirmable of all the potential nominees Trump was considering. This nomination begs the question: Why didn’t the president select Kelly Craft instead of nominating the former Fox News anchor, Nauert, to represent our nation at the United Nations? Indeed, the more I think about it, Craft has more foreign-policy chops than Nikki Haley, who resigned as U.N. ambassador at the end of 2018. I am hopeful that Ambassador Craft will continue to serve the nation well. Is this one of ‘the best people’? Remember this name: Heather Nauert. Oh, but who is she? She is the president’s nominee to be our nation’s ambassador to the United Nations. Nauert will succeed Nikki Haley, who is leaving government at the end of the year, possibly to pursue other political ambitions. OK, what about her credentials to speak for the United States of America in the body aimed at keeping the worldwide peace and working around the globe? She has zero foreign policy experience. 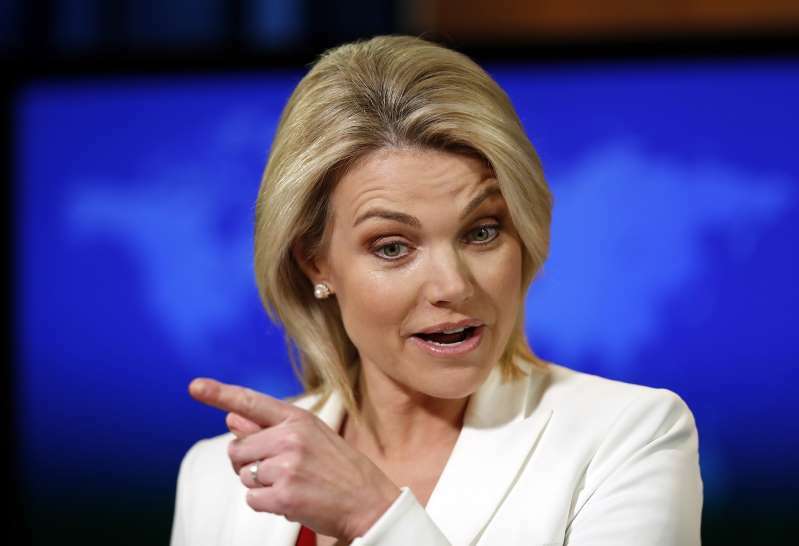 Nauert has limited government experience of any kind; she joined the Trump administration in April 2017, becoming a spokeswoman for Secretary of State Rex Tillerson, who then slammed the door shut on Nauert. Tillerson managed to get fired and his successor, Mike Pompeo, has welcomed Nauert into State’s inner circle. But . . . this must be what put Nauert into the hunt for the UN job: She was a top news correspondent for Fox News and served for a time as a co-host on the president’s favorite “news” and gab show, “Fox & Friends.” These are the folks who never ask him tough questions, fearing, I suppose, that they would be lumped in with those other “fake news” outlets. We can’t have it, right, ladies and gents? So, there you have it. The president of the United States has handed the UN envoy job to someone who has not a single thing to show her fellow diplomats that she knows anything about the world around us. Indeed, she has only a little less government experience than the man who nominated her, Donald Trump. Hey, she appears to be the perfect pick for the president, who defines “best people” in ways I cannot possibly fathom. Dear Mr. President … You’re at it again. You’re putting words in the mouths of millions of Americans. You’re tweeting goofy messages about whether you’re considering your daughter Ivanka to become the next U.S. ambassador to the United Nations. Well, duh! Do ya think? First of all, you haven’t called me. Nor have you asked any one of my friends, acquaintances, social media contacts — probably not even those of whom support you and your presidency — about this idiotic notion. Thus, you purport to speak for Americans about whom you know nothing. I feel the need to remind you, Mr. President, that more Americans voted against your presidential campaign than supported it. Yes, you were elected with an Electoral College majority and I accept the result. But, c’mon, will ya? Stop this baloney about “everyone” wanting Ivanka to join the corps of international diplomats. She isn’t qualified. I mean, haven’t you said that thousands — maybe millions — of Americans are lining up to work in your administration? Doesn’t that imply, Mr. President, that you have the pick of a large field of potential applicants? If that’s the case — and I find it a dubious assertion at best — then you wouldn’t need to keep floating Ivanka’s name as a possible U.N. ambassador. Nikki Haley’s resignation as U.N. envoy surprised a lot of us, Mr. President. I actually applaud the manner in which you were able to keep that a secret. I want to applaud your choice of a successor to the tough-talking former South Carolina governor. Nominating your unqualified daughter to do this difficult job — made even more difficult because of your foreign policy pronouncements — won’t produce any applause from me. And for the umpteenth time, I implore you to stop putting words in my mouth. Ivanka won’t seek UN job. Fine, but who would want it? Ivanka Trump says she won’t be the next U.S. ambassador to the United Nations. She wrote this on Twitter: It is an honor to serve in the White House alongside so many great colleagues and I know that the President will nominate a formidable replacement for Ambassador Haley. That replacement will not be me. That’s good to hear. Why? Well, for starters, Ivanka Trump is nowhere close to being qualified for the job that Nikki Haley is leaving at the end of the year. Her only credential is that she is a product of the president’s loins. Period. End of story. She wouldn’t acknowledge, of course, that any such appointment would be totally inappropriate and that it would hand this highly critical diplomatic post to someone who has no business serving in any official adviser capacity in the White House. Yet the president, Daddy Trump, has said she would be terrific. She’s up to the job. She’s the tops … he says. I now will quote fictional Col. Sherman T. Potter: Buffalo bagels. The task now for the president is to find someone who can work within an administration that suffers from maximum chaos and confusion. What’s more, the president is now being served by a national security adviser, John Bolton, who once said of the UN that you could “lose the top 10 floors” of the UN building and not lose a thing. Oh, and that quip came from a guy, Bolton, who served as ambassador to the United Nations. The next UN ambassador will have to work with Bolton. And with a president who still has to exhibit any understanding at any level of the nuances of international diplomacy. Who will Trump nominate for this job? That remains the latest parlor game to occupy idle minds in Washington, D.C. He’ll boast about being able to select from an enormous pool of applicants. Of course, we have no way to know about the size of that pool. Trump will tell us his applicant pool is h-u-u-u-uge and many Americans will believe him. I won’t. As for Ivanka’s decision to take herself out of running, man, I hope she can tell her father privately in no uncertain terms that she really and truly means it. She won’t replace Nikki Haley. I have to hand it to United Nations Ambassador Nikki Haley. Her resignation, which she announced today in the Oval Office sitting next to the president of the United States, was done without the usual rhetorical public flogging that has accompanied so many of previous Cabinet officials’ departures. Donald Trump, for instance, notified former Secretary of State Rex Tillerson of his firing via Twitter. That came after several days of public speculation about what his future held. Former EPA administrator Scott Pruitt endured weeks of publicity regarding his use of public money; former Health and Human Services Secretary Tom Price endured much the same kind of (mis)treatment; Veterans Secretary David Shulkin was hung out to dry before he got shown the door. And, of course, we have staff-level jobs that changed hands in messy, turbulent manners. Chief of staff Reince Priebus, national security advisers Michael Flynn and H.R. McMaster, communications director Anthony Scaramucci, press secretary Sean Spicer … all left amid chaos and confusion. Haley’s departure was vastly different. It came as a legitimate surprise to the media and to many Trump administration officials. It goes to show, I suppose, that it actually is possible for the president to keep a secret, given that he knew of her plans to depart several days in advance. It also is possible for him to announce a key administration departure with a semblance of class. Will it continue? Do not bet the farm on it. Nikki Haley’s resignation as the U.S. ambassador to the United Nations opens up a whole new round of speculation about who should succeed her. Nikki Haley is a grownup in an administration populated by too many sycophants. But here’s what I am waiting to hear. I am waiting to hear the president tell us of the dozens, maybe hundreds, of qualified applicants pounding on his door wanting to succeed Haley as the UN envoy. You see, he has this maddening habit of embellishing the reputation he and his administration have among career government employees. 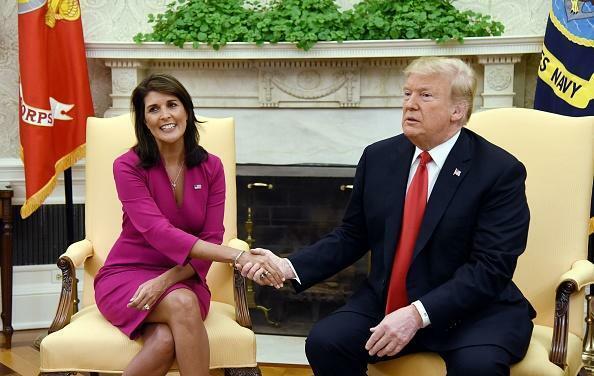 I have no doubt that Donald Trump will seek to oversell his administration’s standing as he seeks to find someone to replace Haley, who will leave her post at the end of the year. I am chuckling at the chatter that his son-in-law Jared Kushner is among those who might succeed Haley. Even more ridiculous is that Trump’s daughter, Ivanka, might get the nod. If the president’s need to beat back the horde of applicants is true, then he should be able to find a top-tier, high-quality nominee to succeed Haley at the UN. If he settles on yet another sycophant — say, someone like Kushner or — God forbid — Ivanka, then we’ll know he is lying about that as well. 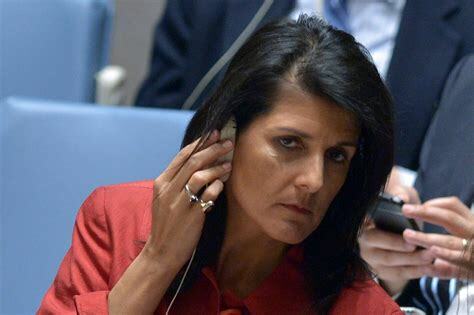 I’ll lament the pending departure of Nikki Haley in the meantime and wish her well as she takes “time off” and considers her next calling. A former two-term South Carolina governor who stood up to the Confederate flag proponents in her state and performed well on the international stage likely has a bright future. United Nations Ambassador Nikki Haley has laid down an important marker to Donald J. Trump. Do not diss me in public; do not subject me to public humiliation; I will not take it quietly. Haley, one of the few grownups in the Trump administration’s inner circle, spoke out recently in which she suggested the United States would impose additional sanctions on Russia as punishment for its complicity in the gassing of Syrian civilians. Then she got her humiliation handed to her by Lawrence Kudlow, the president’s newly appointed national economics adviser. Kudlow suggested that Haley got “ahead of the curve” and might have suffered from some “confusion” over a policy that had been changed without her knowledge. That is not tolerable to Haley. Nor should it be. She has referred to Russian meddling in our 2016 presidential election an “act of warfare.” She has clashed with other senior Trump Cabinet officials. She has stood her ground. But now she has drawn her own “red line,” letting the president know that she won’t stand for being called out in the manner she was by Kudlow. I happen to be in Haley’s corner on this matter. As this nation’s ambassador to the United Nations, she needs to be kept in the loop at all times on all policies being pondered by the Policy Maker in Chief … the president. Then again, the president needs to show at the very least a sliver of discipline as he blunders through this and/or that crisis, or makes this and/or that policy pronouncement. Whenever he tweets a policy statement, only to take some or all of it back, the president puts the precious few grownups he has brought on board in a serious diplomatic pickle. Heaven knows that the president has brought damn few competent individuals on board. One of them, Nikki Haley, deserved far better than she got. Yep, the Donald John Trump White House is showing its chaotic side once again. United Nations Ambassador Nikki Haley said out loud that the United States is planning to impose stronger sanctions against Russia as punishment for its complicity in the recent gas attack on Syrian civilians. Kudlow apologized to Haley for his remarks. I presume Ambassador Haley accepted his apology. Kudlow then said the policy had changed but no one apparently bothered to tell the U.N. ambassador. Good grief, man! Nikki Haley has been talking tough about the Russians while the president keeps giving them a pass. Yes, the president ordered those air strikes against the Syrians — and I applaud him for that. He’s also beginning to speak with increasing harshness about Russian policy objectives. He needs to walk the walk. Economic sanctions against Vladimir Putin and his henchman is one way to demonstrate that the president means what he says. As for undercutting the nation’s U.N. ambassador, the White House needs to speak with a single voice. Where is outrage over conventional weapons? Chris Wallace has posed an perfectly legitimate question to United States ambassador to the United Nations Nikki Haley. “That’s an unfair question,” Haley said in her initial response. Actually, Mme. Ambassador, it’s a perfectly fair question and Wallace was correct to ask it. 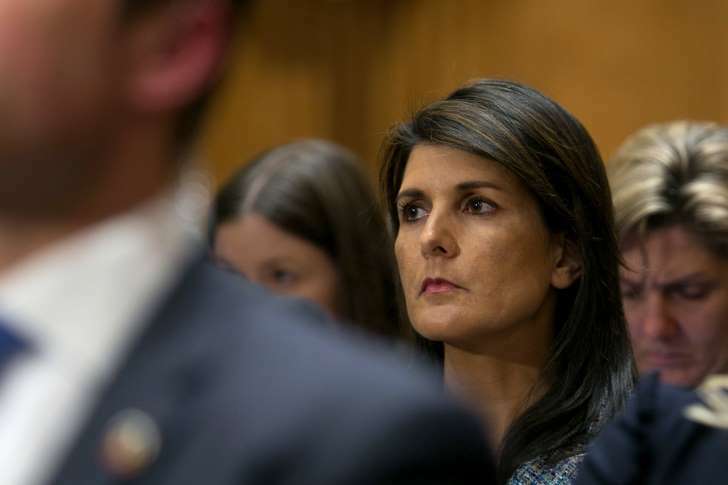 For the record, Haley said the United States doesn’t tolerate the use of any weapons, but didn’t respond directly to Wallace’s query about whether the president views chemical weapon use differently than conventional weapon use. I happen to support the decision to strike at Syria. I believe we responded correctly by aligning ourselves with France and Great Britain and hitting the Syrians in concert with our allies. My belief now is that we need to reignite some intense diplomatic power to persuade the Syrians it clearly is in their best interests to call a halt to the slaughter in their country. Oh, and while we’re at it, we also need to ratchet up the pressure on Russia and Iran to cease lending aid to a war criminal — Bashar al Assad — who happens to be the dictator who runs a ham-fisted government in Damascus. So, here we are. We have pounded the Syrian chemical weapons infrastructure. Our forces reportedly delivered crippling damage to it. Ambassador Haley said the strikes have set back Syria’s chemical weapons program by many years. What about those conventional weapons? When do we draw the “red line” when it involves the hideous use of those weapons on innocent victims? 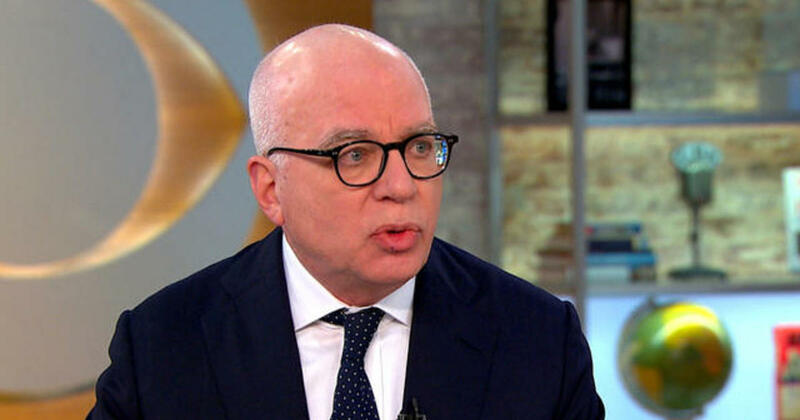 I am well into Michael Wolff’s book “Fire and Fury” and am finding it an interesting and entertaining piece of work. Much of it rings true as well. But when the author goes on these national TV talk shows to discuss some of the more, um, salacious elements of the book, he needs to prepare for the grilling he should expect to get. He got grilled hard this week on MSNBC by “Morning Joe” co-host Mika Brzezinski, who wondered why he would suggest that U.N. Ambassador Nikki Haley would be engaging in an affair with Donald John Trump. Wolff took offense at the question. Brzezinski persisted, noting that he implies an alleged Haley-Trump “relationship” near the end of his book. The back-and-forth continued for a few moments before Brzezinski shut the interview down. I won’t comment yet on “Fire and Fury,” as I have a good bit of it yet to read. I do object, though, to assertions he is making about our nation’s U.N. ambassador and the president. This is a serious head-scratcher, given the ubiquitous presence of cameras, recording devices and other gadgets that can detect any kind of, um, “suspicious” behavior. As for the author’s inability or unwillingness to endure tough questioning from journalists, well, he needs to toughen up.